As a museum, one of our primary goals is preservation. We preserve tangible evidence of our world and our lives through artifacts, specimens, documents and photographs. But we also work to preserve the intangibles that come with our collections: the stories. That’s my favorite part, not just the “what” that identifies an object, but the “why” that tells me why it matters. That’s why I love StoryCorps. StoryCorps, an independent non-profit, has been working since 2003 to collect the stories that people want to share. In just seven years, StoryCorps has added 30,000 oral history interviews to the American Folklife Center at the Library of Congress. The organization is involved in a variety of oral history initiatives, but anyone can share a story. You can hear StoryCorps‘ interviews on NPR’s “Morning Edition,” listen online, subscribe to their podcast, or watch animated shorts of their interviews on the StoryCorps Youtube Channel. What stories would you want to share? The Fort Collins Local History Archive has a large collection of oral histories taken in the early 1970s. Rosalie Kelley Remembers is a series of excerpts taken from an interview with Rosalie Kelly, a descendant of North Park pioneer families the Pinkhams and Allards, May 22, 1975. Colorado & Southern passenger train No. 9, snowbound near Como, Colorado. Photographed by Otto Westerman in 1904. The Fort Collins Local History Archive has a large collection of Oral Histories recorded and transcribed in the early 1970s. 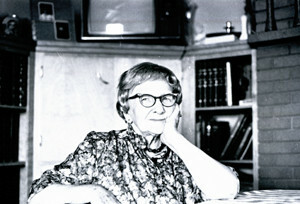 Mrs. Phibbs Remembers is an ongoing series of excerpts taken from the interview with Alice and Sidney Phibbs, May 22, 1975. “Now the people that lived in the area at the time on the north side of Red Mountain, Fred Maxwell had a big ranch. And on this side of Red Mountain some people by the name of Viele had a ranch and then on up, the Barbours had a small place and then ours. And then as you went north from our place, three miles and back a little bit towards the east, the Ted Carpenter family that owned the transfer place here. They lived there for a number of years….. When we moved up there, there was a German family by the name of Lindike. Then the Carpenters bought the place from them. They had one daughter, Lindikes did, her name was Ruth and she afterwards married a young man from in there, over around the area of Logan’s store area; his name was Johnny Boyle…. 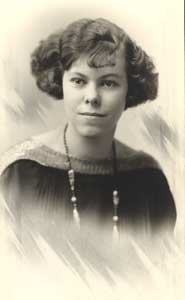 Alice Helene (Kirby) Phibbs, daughter of Katharine Philippi and John E. Kirby,was born on January 6, 1901. She married Sidney Terrance Phibbs in 1947. 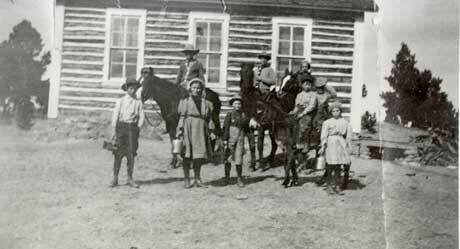 Upper Boxelder School on the Maxwell Ranch circa 1913. The people are identified as: (left to right) Clarence, unknown, unknown, Lloyd Kerwood, unknown, unknown, Elroy, unknown. This was the first school Lloyd Kerwood attended. 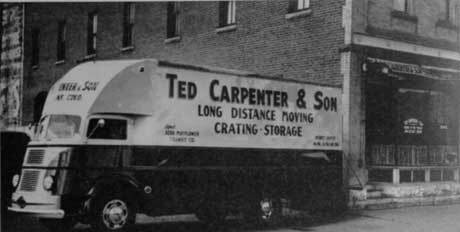 The Ted Carpenter & Son, Moving & Storage Company, 132 Laporte Avenue, Fort Collins, Colorado circa 1950. 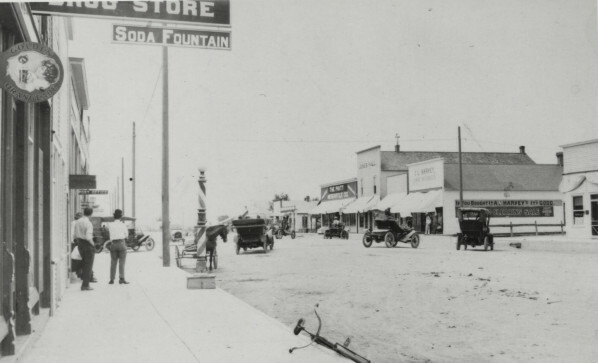 Ted and Myrtle Carpenter moved into town from their ranch in Upper Boxelder circa 1919. Ted started his moving company in the mid 1920s. We’ve written several times in this blog about artifact looting, most recently in regards to the June raid and arrests made by Federal agents in Blanding, Utah. That story in particular has sparked a lot of interest and emotion, especially here in the West. People who illegally collect artifacts from public lands offer a variety of justifications, many of which are being used by the folks who were caught in the Blanding sting: it’s a time-honored community tradition; the artifacts will just end up in a box in some archaeologist’s lab, so why not pick them up; we’re just doing what everyone else does. Whatever the justification, the fact still remains that it is a crime to remove artifacts from public land. Removing artifacts also destroys much of what those artifacts can tell us, scientifically. Without context — where an object was found, what was found with it and around it — all we’re left with are disconnected fragments. Archaeologists and museum professionals have weighed in on this subject in regards to the Blanding cases and artifact looting in general. But there’s a third consideration that received scant, if any, ink in the Blanding saga, and that’s the voice of the people who are the cultural and spiritual heirs of these artifacts. And while there’s no such thing as a “pan-Indian” perspective or opinion on how to treat artifacts, there are those who believe that these objects retain a spiritual quality that goes beyond antiquities laws and scientific processes. From this point of view, the question of what to do with an artifact has a simple answer: Don’t pick it up. It doesn’t belong to you. Last year, the Fort Collins Museum began a film project to document Native American elders speaking on this topic. The resulting film, “Meeting in the Center with Respect,” debuted in May 2009 as part of the opening of the Soapstone Prairie Natural Area, a place that’s also home to artifacts ranging from 12,000 years old to those of the historic era. It’s an opportunity to hear an often unheard voice and to get a different perspective on what meaning objects have, and how their connections survive across time, space, and cultural disruption. The situation in southeastern Utah only highlights how much education still needs to be done to help all of us understand the ethical responsibility we have to protect, respect, and conserve ancestral sites and artifacts.